The Challenger of Record Luna Rossa Challenge will be joined by another Italian team at the 36th America’s Cup, according to local sources. The Sardinia-based Adelasia of Torres team looks set to throw its name into the mix when entries for the Auckland showdown officially open on January 1, La Nuova Sardegna reported earlier this month. 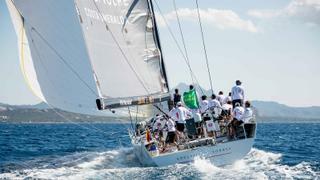 Serial regatta winners Renato Azara and Duccio Colombi are the key men behind the team. Colombi has a particularly strong track record, having won 11 Italian championships, two European titles and four world championships. However, with the Defender Emirates Team New Zealand recently releasing a cutting-edge foiling monohull concept for the next America’s Cup, it seems that any newcomers will have their work cut out for them. Other contenders will include Sir Ben Ainslie’s Land Rover BAR, while two-time Auld Mug winner Jimmy Spithill has predicted that an Australian entry will materialise as well. “We're so associated with the water in Australia and I think the fact that the next one in is in New Zealand it wouldn't be surprising at all,” he said at a recent charity event in Canberra, the New Zealand Herald reports. These developments come in the same month that Emirates Team New Zealand revealed its design for the America’s Cup village that will be built in Auckland over the next four years.